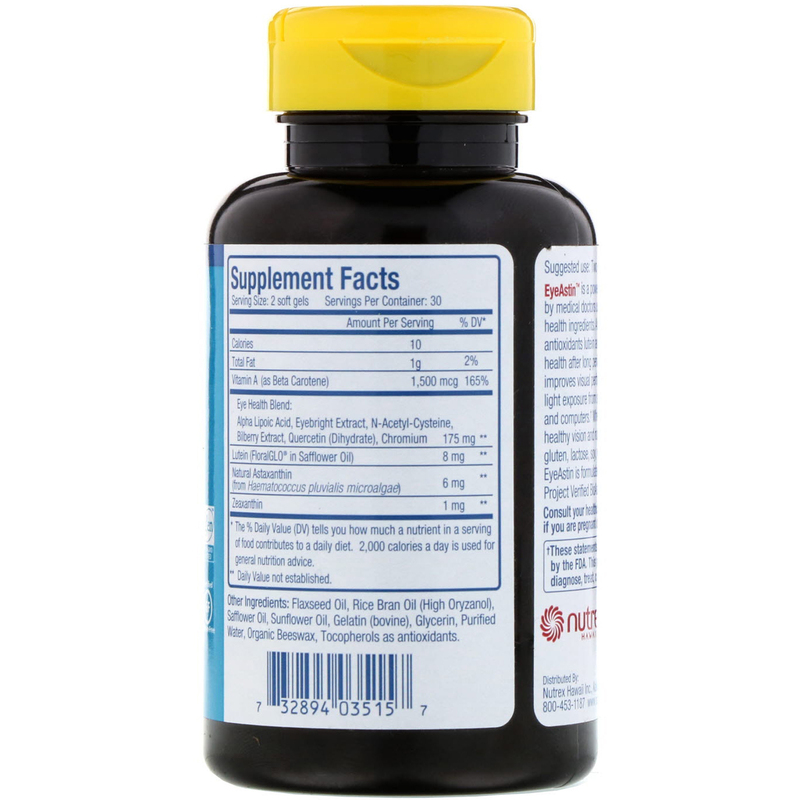 Supports healthy vision and protects eye health after excessive blue light exposure. 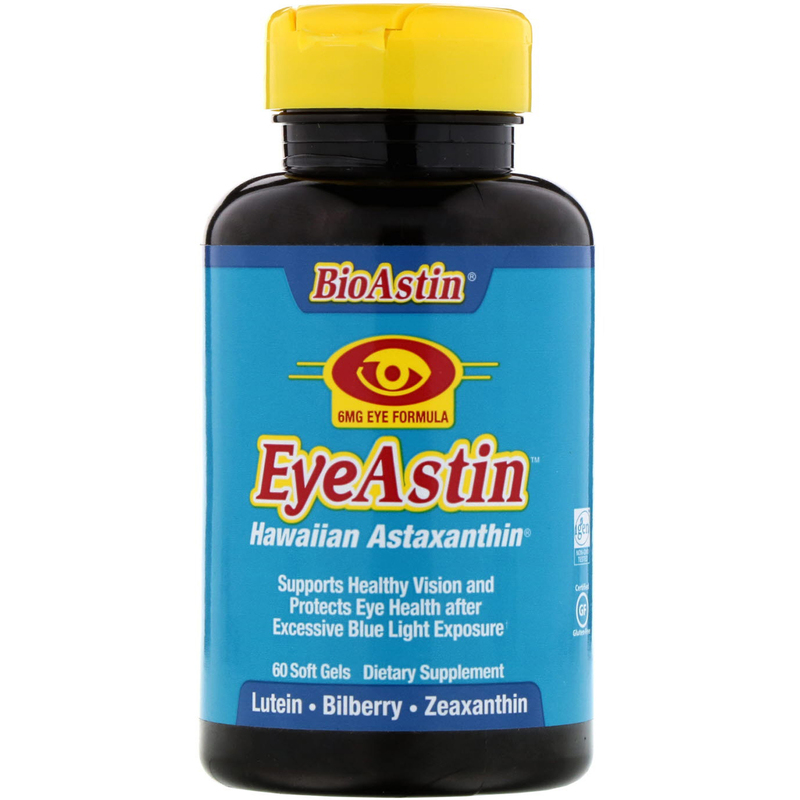 EyeAstin is a powerful eye formula developed by medical doctors using clinically researched eye health ingredients. Astaxanthin, along with macular antioxidants lutein and zeaxanthin, supports eye health after long periods of digital screen time and improves visual performance after excessive blue light exposure from smartphones, tables, laptops, and computers. When taken daily, EyeAstin supports healthy vision and normal eye function. Two soft gels per day with a meal. Flaxseed oil, rice bran oil (high oryzanol), safflower oil, sunflower oil, gelatin (bovine), glycerin, purified water, organic beeswax, tocopherols as antioxidants.